Message and Music On Hold Players from GO On Hold are designed for commercial use with a PBX or Key phone system and feature the latest technology and support that will keep your on hold message and music recording running continuously 24/7. 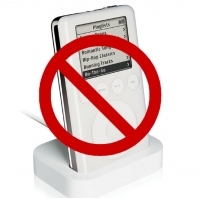 Gone are the days of the cassette tape or CD-loaded music on hold player. Today, audio is transferred directly from the studio or digital file to your on hold player, preserving the peak quality of your chosen audio to maximize your caller’s experience while waiting on hold. 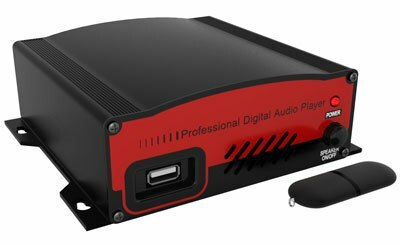 All digital music on hold players purchased from GO On Hold include free technical support and a 5 year warranty. 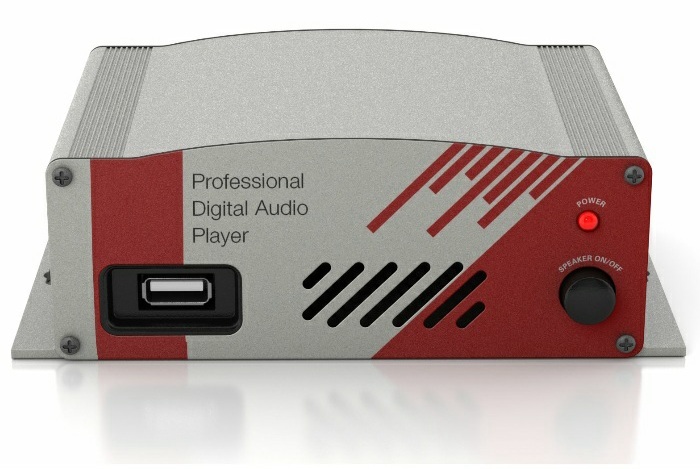 The USB-40B professional on-hold digital audio player is state of the art. Industrial designed extruded aluminum case for many years of service. Carefully selected electronics for great digital sound quality. Built in default music bed – never any silence on hold. Auto Restart feature in the event of a power failure, no loss of your audio files. Stored audio files play in alphanumeric order based on filenames. Are You Thinking of Using or Purchasing Store-Bought (Consumer Grade) Equipment For Your Music-On-Hold (MOH)? • Store-bought players are not created to run 24/7 – in fact, many run from batteries that need to be replaced or recharged – and this will greatly reduce their lifespan. Digital music on hold players are made to run 24/7 even in the rigorous conditions often found in a phone room environment. • Store-bought players are generally tested and approved for household or consumer use. An industrial music on hold system is FCC tested & approved for a commercial environment. Industrial MOH Equipment also uses energy-efficient power supplies, ecologically conscious packaging and efficient design. • In the case of store-bought CD players, CDs are in constant rotation when playing messages on hold, but not designed to run 24/7. Since there are many moving parts in a CD player, most typically wearout after 3-6 months, resulting in additional replacement and/or installation costs. • Store-bought players are made to drive high-impedance headphones, which could damage the telephone system’s MOH port. Professional MOH equipment is created specifically for phone-system compatibility. includes a 3 to 5-year parts & labor warranty. • Store-bought players often require special software to load audio or you are required to burn a CD. Most Professional MOH equipment is “drag ‘n drop” with no special software necessary. • Store-bought players are made for, and marketed to, consumers. They are easily recognized and, as a result, induce theft. • Store-bought players will typically need to be restarted after a power loss while industrial message on hold equipment will begin playing when power is restored.